Did you even know it's possible to rent a laptop? Many people don't. But you can! There are many reasons business and individuals might chose to rent over the more costly, but permanent, option of purchasing. A few common reasons for a laptop rental include: A short term project, such as an event or a large training class. Adding temporary office staff. Or even an out of town business demo. Individuals may even sometimes need a laptop rental for special occasions to perhaps run a slide show at a wedding or retirement party. In today's market there is no shortage of laptop rental suppliers to chose from. Some companies tout their large variety of leading brands and a turnkey solution designed for any size business need. Other companies focus more on their low rates and target the consumer market with promises of instant credit approval. Rentacomputer.com is one of the nation's largest computer rental companies. They offer large quantity orders for laptop rentals. If you have a training session or a corporate event that requires several employees to have mobile devices to track information and be connected, then large quantity rentals make perfect sense. They can handle all your temporary laptop rental needs to fit any duration. Their rental rates are tailored to the period of time you need, whether you need it for a day, a week, or months at a time. They have all the major brands available in 1500 cities worldwide! RentOurLaptops.com has a variety of laptops from powerful mobile workstations to ultra-light netbooks. They also offer rugged laptop rentals for demanding environments. Whether you need 2 GB or 16 GB of RAM, each laptop rental can be custom configured with the exact hardware you need. You pay for only the specifications you need. 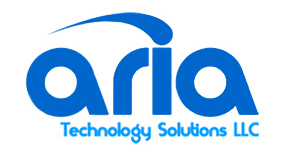 Aria Technology Solutions is focused on providing Mobile Technology Rentals for companies nationwide. With thousands of products in stock ready for same day shipping, they can supply rental companies with the quantity of laptops they need. Consistently competitive prices, breadth of inventory and equipment quality are just a few of the reasons their customers turn to Aria Technology Solutions for all their laptop rental needs. Rent-A-Center provides more than furniture and household appliances rentals. They provide a decent selection of laptops, and are located in most cities across the nation. If you are looking for an average laptop for personal needs Rent a center is the way to go. Aaron’s is a national leader in the sales and lease ownership and specialty retailing of residential and office furniture, consumer electronics, home appliances and accessories. They offer a handful of laptops at more than 1,800 Company-operated and franchised stores in 48 states and Canada. Laptop rentals have their advantages. Are you trying to fill a business need or has something come up on short notice? You can rent a laptop to get the job done. If you are interested in purchasing a laptop but are unable to decide what you want, you can rent one short term to see if it what you want.